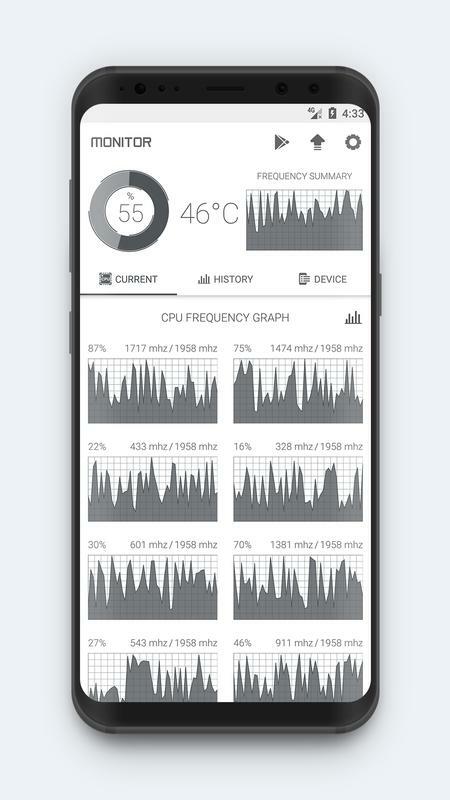 Monitor the cpu temperature and frequency real time, analyze the cpu temperature and frequency history information, and support the multicore cpu monitoring. 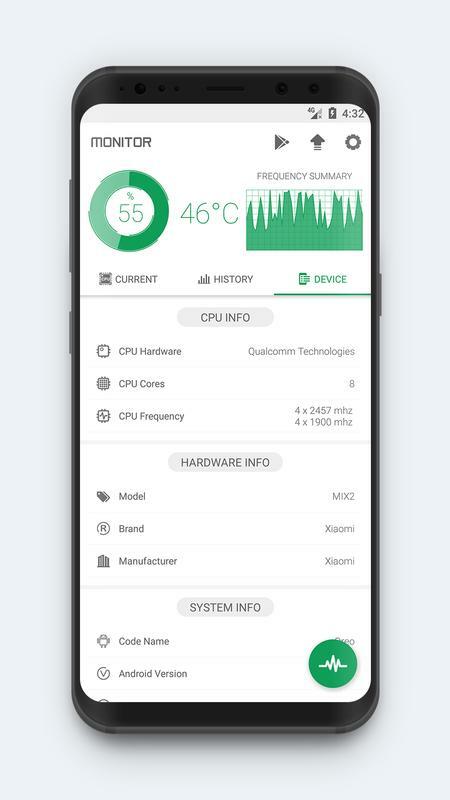 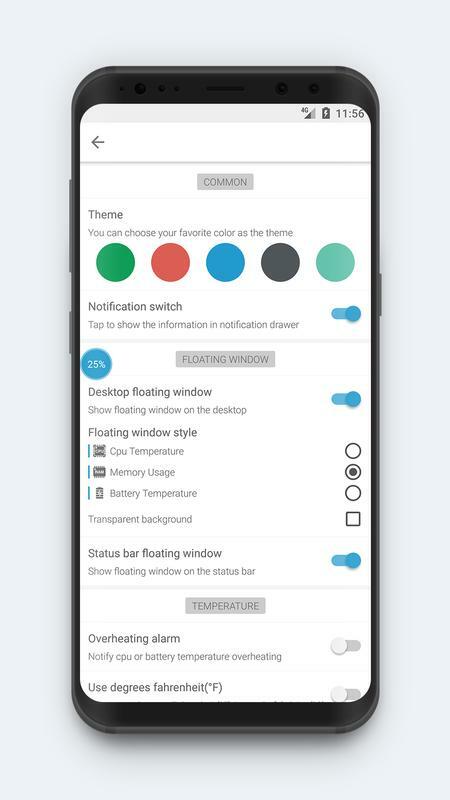 Show the detailed device information, including: cpu information, system information, hardware information, screen information . Cpu monitor will trigger an alarm when cpu's or battery's temperature is over heat, you can choose open or close the over heat alarm as your like. 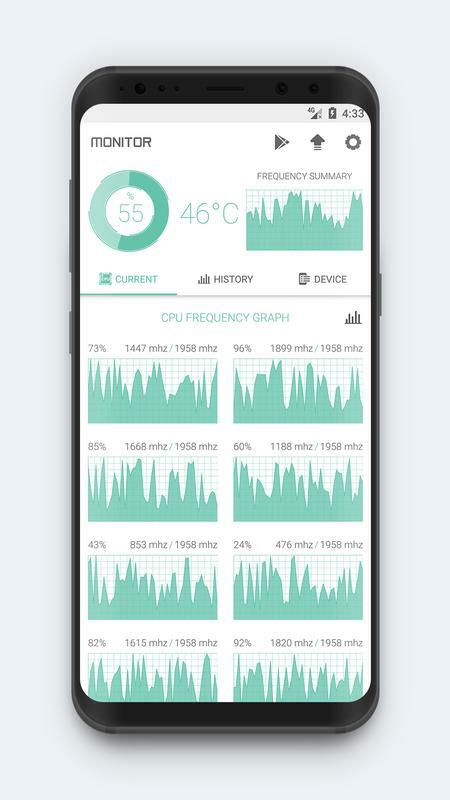 Cpu monitor is very beautiful and support multi-theme switching, you can choose the theme you like. If you like cpu monitor, you can upgrade to pro version 『Powerful System Monitor』: CPU Monitor, Storage Cleaner, RAM Booster, Battery Monitor, Battery Saver all in one!